So I'll admit it, this is the sort of album which is almost too easy for me to praise - and yeah, a big part of this is how Reba McEntire's music plays to a formative style of country for me that I've loved for years and that she can knock out of the park. 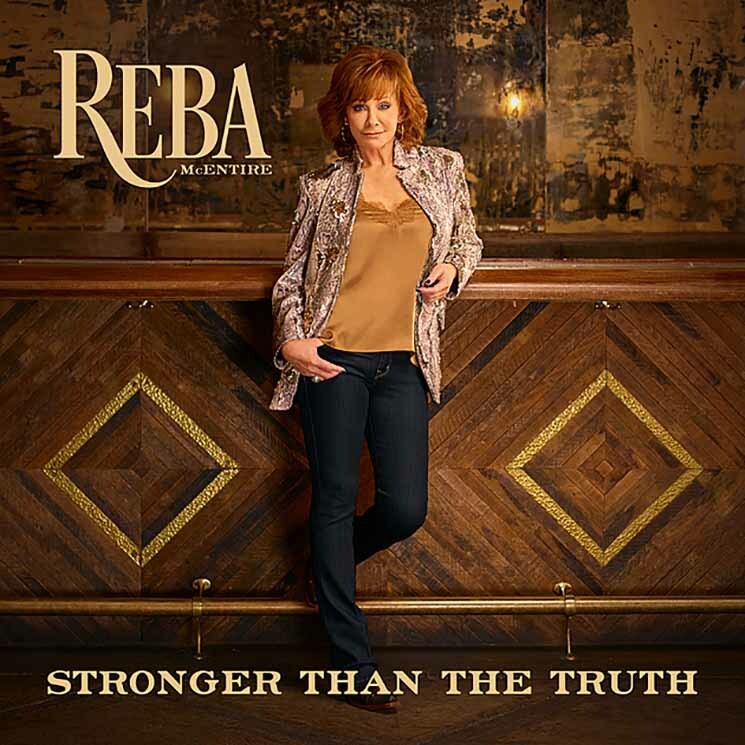 What I find startling is how I normally experience this sort of Reba project from one of her many greatest hits projects, not a solo release - in other words, a wide selection of absolutely fantastic songs interspersed by a few that feel a little too corny or like an overreach. But the fact that this project is as consistent as it is probably makes it among one of her strongest of her career, at least since her spectacular run in the 90s. And while I'll say that my long familiarity with this style of music from Reba is the key draw for me - it was literally the music of my childhood - the fact that she's able to lock into that sound and style as if she never left is a huge plus, so for those who might not have that context, let's talk about what has always made Reba's country material so strong. Of course the obvious is her voice and pure charisma, but what Reba has always grasped as a performer is her range and vocal texture - she's got such a distinctive presence and tone to her singing that she can take so many styles of writing behind her and make them her own, from the intimate love songs, the heartbreaking songs of loss, and since she's always had a flair for narrative, the darker and angrier moments that make so many of her songs feel so memorable. Now this narrative focus and her tendency to go broad has prompted criticisms that she can rely on theatrical melodrama that's garish or 'stagey' - and make no mistake, there's truth to that, especially in comparison to the long line of women in country who play things more reserved. I think the difference with me is that Reba, like Dolly Parton, has long realized the emotive power of melodrama and uses that style to her advantage, and while this album might be a little more understated than some of her flashiest moments, the spark is still there, and I'm not going to begrudge a woman on her thirty-third album in her mid-60s to take it a little more easy. Except that's not what she does - and indeed, the pleasantly surprised reaction I and a lot of other critics had is how much Reba is genuinely trying to deliver a heartfelt and potent performance on this project that has embraced the rich organic textures of neotraditional country. And while I was tempted to say it's easier to praise this album for what it's not rather than what it is, the truth is that there's a lot here I really love, with even enough of a new spin to distinguish it from the annals of her greatest hits. Yeah, Reba's always had a fondness for Western swing - a subgenre that, for the record, I've never quite loved - but I do respect how not only does she start her album in this territory, but then makes that opener 'Swing All Night Long With You' one of the longest cuts on the album chock full of saloon piano and fiddle, only to bring it back with an appropriately jaunty 'No U In Oklahoma'. I appreciate that when she indulges modern country in the Carrie Underwood-esque groove on 'Storm In A Shot Glass', she not only puts the main melody on the fiddle, but makes it one of the angriest songs on the album - sadly, the approach doesn't work nearly as well on the weirdly patriotic love song 'Freedom', but I do see the appeal? And then there's the ballads, where Reba has delivered some of the most considered but devastating material that you have to wonder how she'll match it... and yet there are cuts where she does. The immediacy of denial and loneliness of a breakup hits hard on the title track and especially 'The Clown', and I wasn't even surprised to see the rich pool of vintage country references on 'Tammy Wynette Kind Of Pain' and then discover it was cowritten by Brandy Clark - hell, the key change is the sort of neotraditional 90s move that Reba pulls off in a way that makes me really wish acts of all genres would bring back. And while it might be an unintentional reference of how both 'Your Heart' and 'The Bar's Getting Lower' seem to call back to the misspent hookups I remember from 'The Heart Is A Lonely Hunter', I appreciate the wisdom in the precautionary framing of the first song against the minor key acoustics and pedal steel and how time and falling expectations has left such a long shadow on the latter - and man, it can hit like a ton of bricks. Indeed, if there's something that Reba infuses into this album in the songs she chose that makes this album feel very different, it's a sense of time: the title track was actually written by Reba's niece, but it gathers so much more weight when it comes from Reba not only in the devastating slew of songs about the revelation of infidelity, but from how much time and love was spent. Similar case for the chance encounter with a woman who tells a story of her fleeting connection with her lost addict mother before she died on 'Cactus In A Coffee Can' against the fiddles and banjo - stories like this have a heft to them and names that feel distinctive and memorable if only because the life story details allow for a greater picture to fill in the backdrop. Hell, even in the slightest details of 'The Clown' you can note how the chorus changes from the sense of shame upon getting dumped publicly in the first to the chances that must be taken to find that love again in the second. What threw me offguard was 'In His Mind', one of the songs cowritten by Reba and the sort that shows the sort of heartbreaking framing and genuine empathy that's always been her hallmark, of an older man who for which his wife is long gone - it's never clear why - but because of his fading memory and faculties, he knows she'll be back, and nobody has the heart to tell him otherwise, which places this among songs like 'She Thinks His Name Was John' and 'The Greatest Man I Never Knew' among her most powerful tearjerkers. Honestly, the album could have ended there and I would have been fine, but she actually ends the album with a tribute to her mother 'You Never Gave Up On Me' that cuts just as deep. And if you're thinking this sounds like a heavy or depressing album that's hard to approach... the weird thing is that it's not, in a very neotraditional. There are albums that are so emotionally devastating in their writing that you almost can't approach them, but Reba has long mastered the ability to make that weight palatable - again, it's no surprise she's working with Brandy Clark who has that same ability to make you cry, but make it feel like the heartbreak is not scarring, but cleansing. Or to put it another way... yeah, this is just a damn great country album for which I'll freely admit I'm biased on a fundamental level - again, I grew up with Reba's music and larger cultural presence, including her criminally underrated sitcom - but also showcases the sort of emotional poise and writing across a well-produced whole project for which she's been inconsistent with in the past. And you wouldn't be wrong for highlighting that it very much is analogous to a Reba album that could have been released twenty-five years ago, especially if you're a diehard traditionalist who has never liked her steps towards adult contemporary or pop country - but it does have the feel of a passion project that is her most consistent within country, the likes of which you haven't heard from her in decades. And thus for me... yeah, I'm comfortable giving this an 8/10 and absolutely a recommendation - again, this might come from formative bias on my heart, but this is absolutely the sort of country I'll revisit every time. It's beautiful stuff, and while I'm not one to believe this'll break through to Nashville... man, I can only hope.